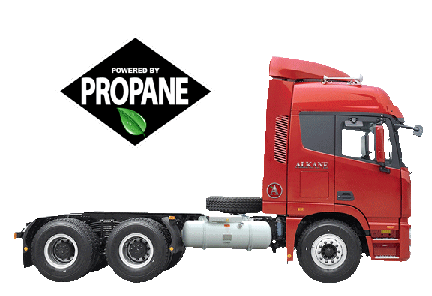 Alkane Truck Company is the leader in U.S. manufactured trucks and off-road vehicles that run on liquid propane (LPG) and (CNG) compressed natural gas. We are currently taking orders for our class 7 26,000GVW to 33,000GVW cab-over truck. In 2017 we will have concluded DOT testing on our Alkane Dominator™ which is a humvee-like, all terrain workhorse that is suitable for off-road and specialty applications. In 2018, our class 8 tractor is scheduled to finish DOT testing and will be available for dealer orders. All of these vehicles will run on clean-burning, domestically produced liquid propane. The Alkane Dominator™ will also be offered with a 6.8L V8 gasoline engine. A standard feature of the Dominator™ is the overall Line-X Polurea coating, which prevents rust, scratches and abrasions to all painted surfaces. Alkane’s engineers are also developing bullet-resistant armoring for police and military applications. 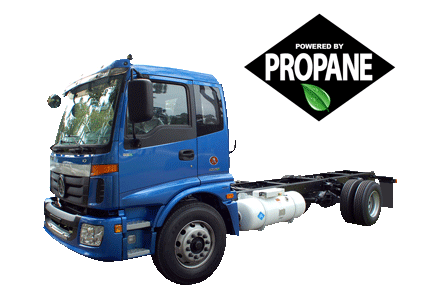 Alkane Truck Company is a leader in the development of alternative fueled trucks. Alkane provides a one stop solution for Propane powered medium and heavy duty trucks, and the all-new all-terrain workhorse Alkane Dominator™. Our liquid propane auto-gas (LPG) powered vehicles are not after market ad-dons. They are not conversions. They are the first vehicles of their respective classes designed from the ground up to run on clean and abundant LPG. 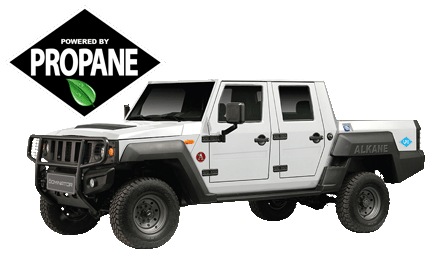 Due to the void left by the Hummer H1 and Hummer H2, there are no Humvee-type vehicles sold in the U.S. Alkane has filled that void with a 4 wheel drive vehicle called the Alkane Dominator™. With power, toughness and versatility, the Dominator™ can navigate through any rugged terrain. With the snorkel exhaust, it can even plow through 40 inches of water without stalling out. LPG is abundantly available here in the United States, and lessens our dependence on foreign oil. It burns cleaner than diesel and gasoline and therefore helps clean up our environment. LPG distribution is more advanced than any other alternative fuel. Alkane Truck Company and its engineers have been able to create the kind of torque truckers want and need with our alternative fueled trucks while maintaining greater fuel efficiency. Since the Propane engines emit less carbon, engine longevity is a bonus. Limited Time Only: NO Dealership Franchise Fees. NO OFFER TO BUY THE SECURITIES CAN BE ACCEPTED AND NO PART OF THE PURCHASE PRICE CAN BE RECEIVED UNTIL THE OFFERING STATEMENT FILED BY THE COMPANY WITH THE SEC HAS BEEN QUALFIED BY THE SEC. ANY SUCH OFFER MAY BE WITHDRAWN OR REVOKED, WITHOUT OBLIGATION OR COMMITMENT OF ANY KIND, AT ANY TIME BEFORE NOTICE OF ACCEPTANCE GIVEN AFTER THE DATE OF QUALIFICATION. Portions of this website are “forward-looking statements.” These statements involve risks and uncertainties, and the Company undertakes no obligation to update any forward-looking information. Risks and uncertainties that could cause cash flows to decrease or actual results to differ materially include, without limitation, consumer interest in the Company¹s products, general economic conditions, consumer and retail trends, costs and availability of raw materials, competition, market conditions, and future business decisions, all of which are difficult or impossible to predict accurately and many of which are beyond the Company¹s control. Readers are referred to the Company¹s periodic reports filed with the SEC, specifically the most recent reports which identify important risk factors that could cause actual results to differ from those contained in the forward-looking statements. The information contained on this website is a statement of the Company¹s present intentions, beliefs or expectations and is based upon, among other things, the existing business environment, industry conditions, market conditions and prices, the economy in general and the Company¹s assumptions. The Company may change its intentions, beliefs or expectations at any time and without notice, based upon any changes in such factors, in its assumptions or otherwise, and it undertakes no obligation to revise or update publicly any forward-looking statements for any reason. The cautionary statements contained or referred to on this website should be considered in connection with any subsequent written or oral forward-looking statements that the Company or persons acting on its behalf may issue.